← LORD OF THE FLIES BIKE RIDE! 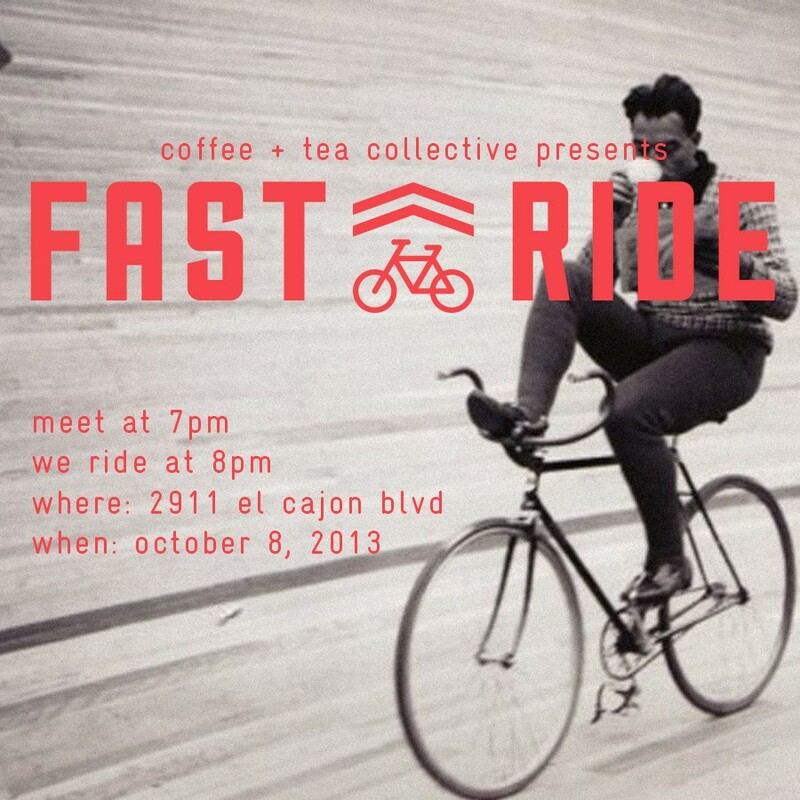 Let’s go check this out..
“A weekly fast paced bicycle ride that meets at Coffee & Tea Collective at 7:00pm, leaves at 8:00pm and goes throughout metropolitan and all outside areas of San Diego. All cyclists welcome but should remember to ride safe and within their own limits. Hold your line and be aware of people/cars around you, this is not a race or a mass..
We will also be raffling off 5 brand new, unreleased Coffee & Tea Collective cycling kits. Purchase any Coffee & Tea Collective beverage for a raffle ticket.